Paul currently works part time as a landscape architect and arboriculturist but is hoping to devote more time to sculpting in the future. Currently based in Stroud, Gloucestershire and Newport, Pembrokeshire most of his sculptures are created using Cotswold limestone from Tetbury on a Welsh slate base. Paul’s inspiration comes from natural forms in the landscape and he enjoys breathing new life into something which is millions of years old. 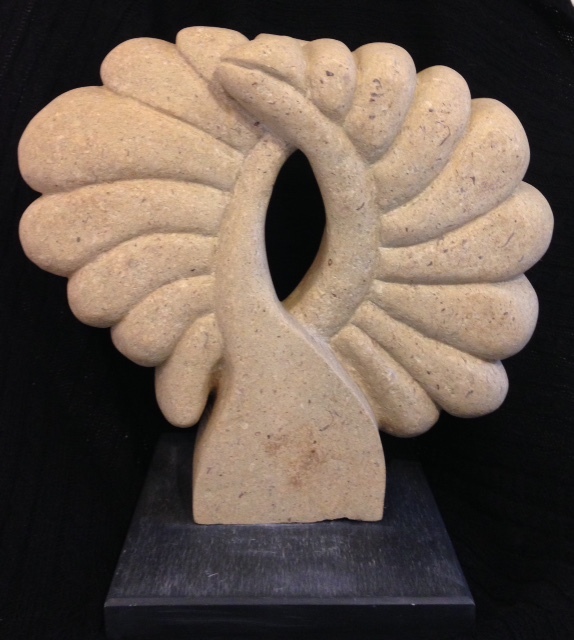 The Cotswold limestone he uses has itself been formed from ancient marine creatures and very often shells are revealed in the carving process and become an integral part of the sculpture. Paul believes that sculpting is a tactile as well as visual art form and all of his work is carried out by hand and no machinery is used.